Under 5's love to get creative with different painting techniques. Printing with sponges is simple and this lovely snowman is a great winter craft. Cut your sponge into a circle. Squirt some white paint onto a flat surface, paper plates are great for this. Dip one side of the sponge into the paint and print two circles overlapping each other. Add details with felt tip pens. 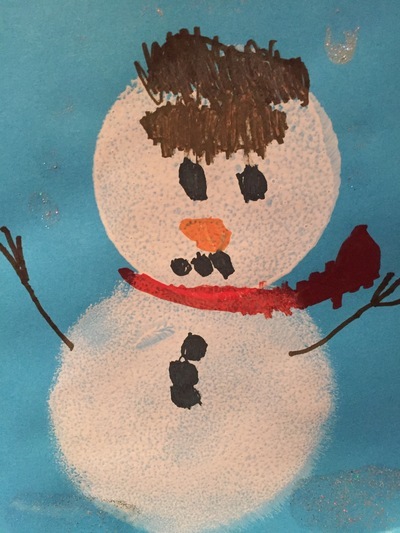 This little snowman managed to get some hair rather than a hat but it's all about what your child wants to do so let them get creative however they like.